With entries for the N3TC Drak Challenge canoe marathon, in partnership with FNB, starting to arrive at the race office, paddlers are eyeing the arrival of the summer rains that herald the start of what has become known as “Drak Season” in the Southern Drakensberg. The organising club, Canyon Kayak Club, has expanded the events that make up the Drak Season, which starts in mid-December each year with the long weekend of paddling centred on the annual KZN Mixed Double Championships on Saturday 15 December. This event has been retained over the popular, slightly shorter and more accessible section of the uMzimkhulu River from the Trout Hatcheries to Glenhaven, which was well received by the paddlers last year. The race organisers have confirmed that they will also allow the innovative and popular rule allowing a mixed doubles team to enter in two single kayaks, and for their time to be taken when the slowest of the two kayaks crosses the line. Euro Steel’s Andy Birkett was successful in using this rule with Abby Solms, wisely opting for singles in lowish river conditions. The Mixed Doubles race also includes a social race aimed at recreational paddlers. Being a month before the N3TC Drak Challenge, it is seen as an ideal opportunity to recce the key section of river that includes the Underberg Gorge. “It is very clearly targeted at both the serious racers who are out to win the KZN mixed doubles title, and the social paddlers,” said race committee chair Mark Willment. Willment confirmed that the club was working at hosting guided trips over the Drak section of the river on the other two days of the long weekend, and also an exploratory trip on the Creighton section of the uMzimkhulu further downriver. 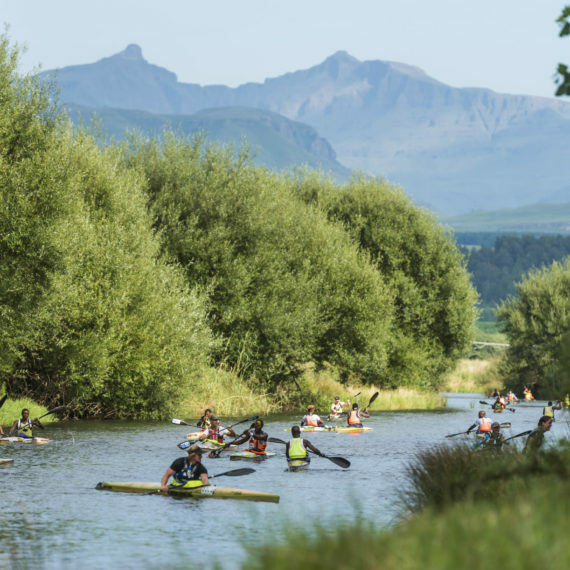 The Drak season shifts to the FastDrak on 30 December, where the full two-day Drak Challenge is raced in one day, with a number of portages thrown in. 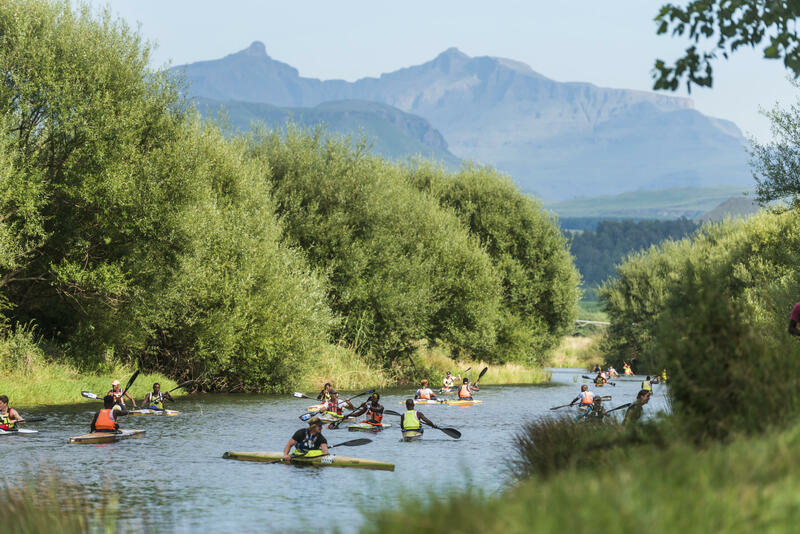 The Drak season comes to head with the N3TC Drak Challenge, in partnership with FNB on 19 and 20 January, where another field of close on 100 paddlers is expected to converge on Underberg for the FNB Drak Adventure weekend. That weekend is usually also home to the ThrombiFest, where kayakers take to the Thrombi Gorge for a weekend of kayaking races, waterfall shooting and freestyle exhibitions. In the closing weeks of the summer the stars of the future take on the uMzimkhulu for the interschool racing in February.